Wordle*, a Java-based word cloud maker, is described by the designer as "a toy for generating 'word clouds' from text that you provide." The nice thing about this online toy is that you can customize the font, layout and color schemes with a variety of interesting choices. 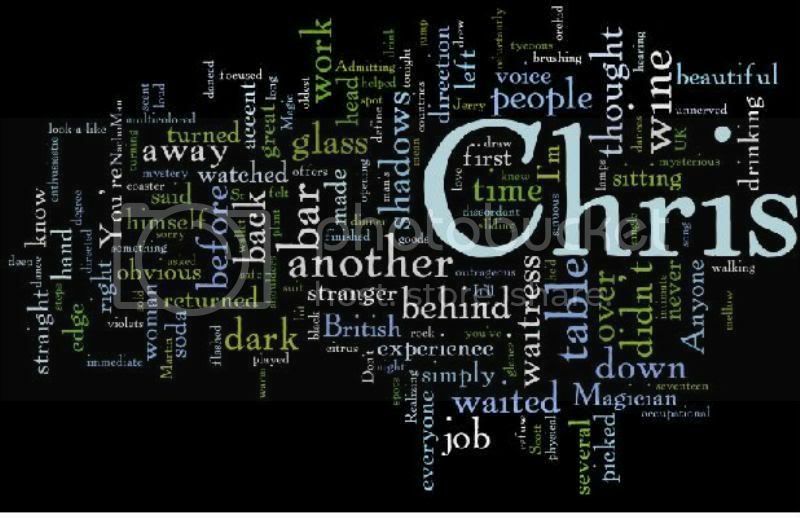 This can also be used as a simple visual tool for identifying frequently-used words in your text, because the more you use a word in the text that you feed to Wordle, the larger it appears in the cloud. *Link found over at Elizabeth Bear's LJ. That's an awesome tip. I know sometimes it feels like I must be overusing a word--now I can see if I am! I've just done five Wordles of my various books, and 'said' is the biggest word in all of them! I posted them on my blog just for fun. The rest of the words in the cloud actually form a decent synopsis of each book, but I notice 'said' doesn't appear anywhere (not large, anyhow) in your cloud. Hmm. Too many tags, Heather?? Thanks for this - fantastic! Somehow putting a page of my own writing in, and seeing the result... it makes me more excited about my own work. Always a plus when you are fighting savagely against writer's block. It's fun to see how the words come out.